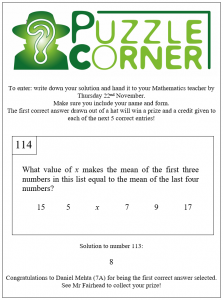 The results have already arrived for the Senior Maths Challenge that nine of our pupils took part in last week. 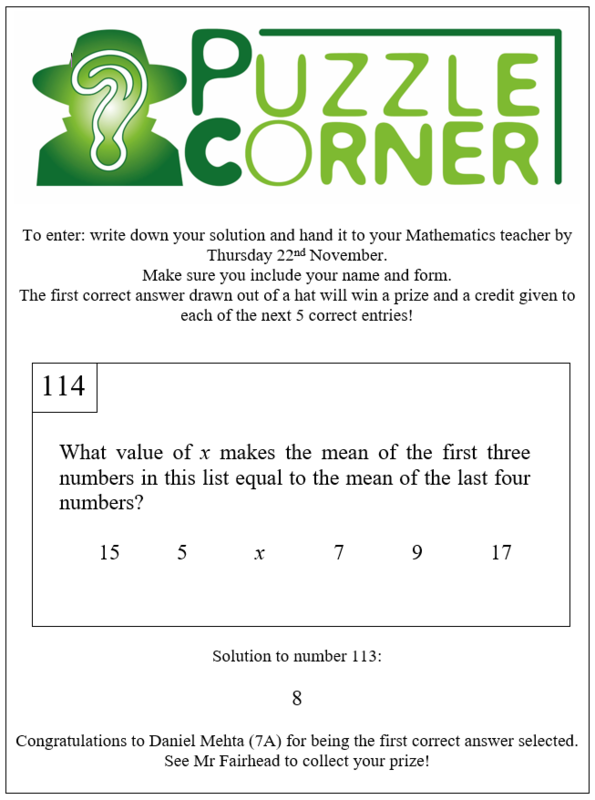 Competing against learners up to Year 13 they all did well in participating. Of the nine, five achieved a score high enough for a certificate, one silver, two bronze and with two pupils scoring at least 84 points, two gold certificates and entry to the next round of the competition which takes place on Friday 30 November. We will keep you posted. Another highlight – the Year 8 girls’ football team took part in the EFL Football Tournament in Portsmouth on Thursday and with impressive playing came 2nd out of the 28 participating teams. Also on Thursday, a group of Cams Hill School pupils wowed the audience at the Gosport and Fareham Dance Festival 2018. The girls were praised for their discipline, their understanding of their dances and their fun and talent! 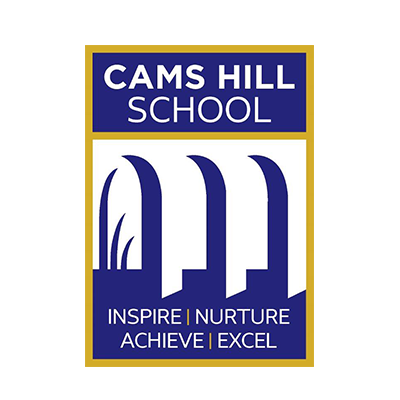 Kindness was the theme for Year 7 and this saw them going to Humanities, PE, Drama and ICT to participate in a variety of activities that allowed them to think about how we act towards each other and how we can continue to develop a culture of kindness at Cams Hill. 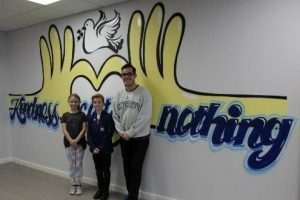 Two of our pupils worked throughout the day with a graffiti artist after winning a competition last year to design a kindness mural for the school. 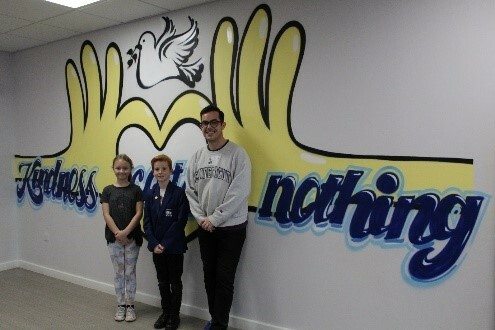 Their winning designs were merged together to form the first Cams Hill kindness mural. Year 8 pupils have been preparing for the Enrichment Day in their Personal Development Learning and Citizenship Sessions with the theme of remembrance and considering the importance and relevance of remembrance today. 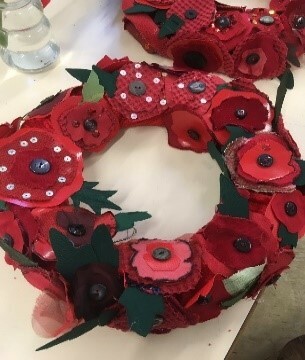 This theme was then continued on the Enrichment Day taking part in a range of activities – singing WW1 songs, creating poppies to make their own wreaths, studying WW1 poetry and writing their own and taking part in sitting volleyball as part of their own Invictus Games. 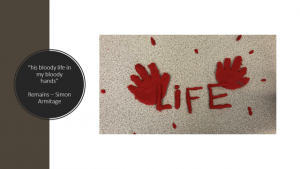 Hard hitting and clear messages delivered to Year 9 pupils from a visiting group whose aim it is to raise awareness amongst young people aged 8 to 18 about the causes, consequences, penalties and impact of crime and how crime affects different people in different ways. 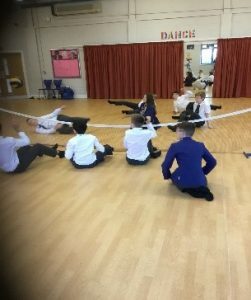 A talk from a reformed ex-convict, time in a (mobile) Prison Cell, a piece of Drama to raise awareness of issues that can affect/influence a young person’s life and a talk from an ex prison officer certainly gave the pupils a lot to talk about, reflect on and consider. Year 10 looked into the topic of ‘Finances’ delivered by the Citizens Advice Bureau. The session focussed around the cost of borrowing, on mortgages and the processes involved in owning a house. Pupils also looked at the importance of pensions as well as the dangers associated with gambling.